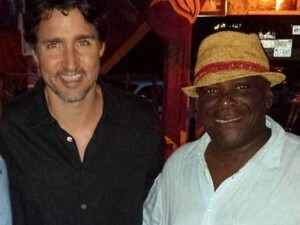 Toronto, Canada (August 25, 2015):-St. Kitts and Nevis’ newly appointed Minister of Tourism, International Trade, Industry & Commerce, Lindsay F.P. Grant, was in Toronto today (Aug. 25) to highlight news and developments set for the destination. Over the next two years several major hotel brands will open properties in St. Kitts, including Embassy Suites by Hilton, Koi Resort & Residences and the first Park Hyatt in the Caribbean. According to Grant, the island has seen significant travel growth, with a 6.7% increase in tourism between January to June 2015 compared to the same period in 2014, and a 6.4% increase from North American visitors. St. Kitts is also adding a second cruise port, which will be able to house two of the largest passenger ships side by side. After welcoming more than a million passengers through cruises over the 2014/2015 season, he projects the figure will grow to 1.2 million. “We’re not just sun, sand and sea, but we consider ourselves a lifestyle destination,” he says.